The deforestation has led to local loss of species and important ecosystem services performed by them, causing ecological and economic losses. It is proposed that the reforestation of such areas aims to reduce those impacts. However, particularly in the tropics, little is known about the real success of different types of reforestation in the recovery of the species, and especially of the population parameters. 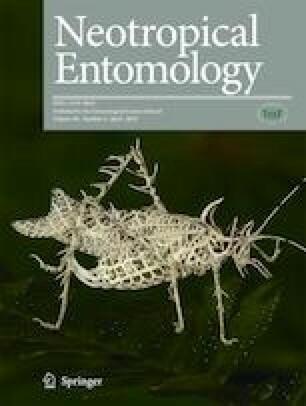 Here we evaluated whether different types of reforestations affect Trypoxylon (Trypargilum) lactitarse Saussure (Hymenoptera: Crabronidae) in terms of abundance, percentage of emergence, proportion of males, fluctuating asymmetry, and foraging capacity. We compared primary forest (control) data to data collected in five different habitats: pasture, secondary forest, and tree plantations of Teak, Ficus, and a mixture of native species. The abundance of T. lactitarse was higher in tree plantations than in pasture. However, among the analyzed parameters, Teak plantation presented lower emergence percentage and the majority of individuals born were males. The emerged females in this habitat showed higher asymmetry and lower foraging capacity. Ficus showed lower individual abundance and mixed plantation showed lower emergence percentage, with both plantation types showing higher male emergence. On the other hand, in secondary forest, the analyzed parameters did not differ in relation to the primary forest, being the habitat more efficient in relation to those with tree planting. The changes in population parameters of T. lactitarse in different reforestations and particularly on Teak monocultures were probably attributed to indirect effects, such as low food availability and inadequate environmental conditions. We highly acknowledge the Office National des Forêts of Brazil for the logistical support and Coordenação de Aperfeiçoamento de Pessoal de Nível Superior for the scholarships provided to GJA. GJA, DST and TJI Conceptualization, GJA, DST and TJI Data curation, GJA, DST and TJI Formal analysis, TJI Funding acquisition, GJA, DST and TJI Investigation, GJA and TJI Methodology, TJI Project administration, TJI Resources, TJI Supervision, GJA, DST and TJI Validation, GJA, DST and TJI Visualization, GJA and TJI Writing (original draft preparation), GJA, DST and TJI Writing (review and editing).